For all you dog lovers, did you know that #DisneyWorld has dogs to do what the police and military also use canine’s for…sniff for things? 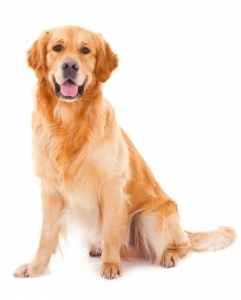 They use Golden Retrievers/Labs and German Shepherds to name two of the three breeds they use. They have security personnel who are specially trained to be dog handlers and each handler is matched up with their own dog. I first learned of this when a customer left a portable scooter sitting alone in an unusual place. Disney contacted us after they had the scooter “sniffed”. I really like that they let the handlers have first choice at adopting their dog when they decide it is time for them to retire. My information is retirement is typically around the 9 years old. I am sure the dogs are ecstatic to retire to a home and family. I bet some even get to sleep in a bed! (Up until that time they sleep in their cages outside). Click here to see a post by a Disney World guest that snapped a picture and wrote a blog post about one in Magic Kingdom. The dog I met was certainly sweet and loving and very well behaved! Post a picture of your dog to our Facebook page to salute the #WorkingDogsatDisney!